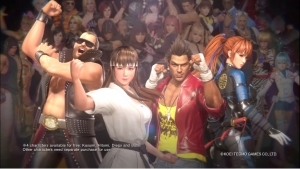 Considered two of the most popular characters in the Dead or Alive franchise, Leifang and Hitomi have both been confirmed at Gamescom 2018 for the upcoming fighter from Koei Tecmo, Dead or Alive 6. Leifang is the T’ai Chi Ch’uan Genius, and nobody is better at using their opponent’s strengths against them. Her Sabaki and Inashi parries are powerful, and can gracefully parry enemy attacks. Alongside her is the Fist of Innocence, Hitomi. The 20-year-old of mixed German and Japanese descent is a well-balanced karate expert; utilizing speed, power, and a long reach to take down opponents thanks to a straight punch that is equally beautiful and terrifying. 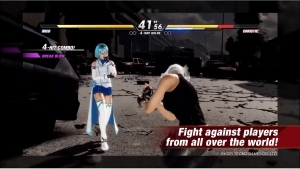 A new stage was also shown off at Gamescom, “Forbidden Fortune”. It’s a dynamic level featuring a pirate ship, complete with ancient bones of pirates, treasures, and a Kraken that attacks the stage itself.